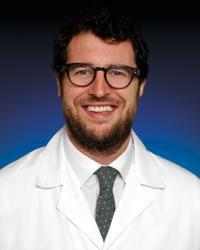 David Lisle, MD is a colorectal surgeon with specialized interest in minimally invasive surgical techniques. He earned his medical degree at Georgetown University School of Medicine and then went on to complete a general surgery residency program at Columbia University—New York Presbyterian Hospital, where he served as Chief Surgery Resident for Robotic Surgery. Prior to joining MedStar Franklin Square’s team, he pursued a colorectal surgery fellowship at the Cleveland Clinic Florida, learning novel, advanced laparoscopic techniques. Dr. Lisle has served in numerous leadership and teaching roles throughout his training experience, and has also contributed to several medical research projects focused protocols and best practices relative to complex colorectal surgery cases.